2 days practical firearms training in Guam, by bi-lingual, experienced, NRA certified Tactical Firearms Instructor/Range Safety Officer. Practical Firearms Course Certificate(Basic to Advanced Level depending upon training completed), Training Resume/Qualification Scores will be awarded upon successful course completion. Above schedule is the actual range dates/hours. For those seeking reasonable air ticket, hotel, transportation from/to airport/range, to include sightseeing, shopping, package plan(Departing Narita evening, 30 May, arriving Narita 3 Jun 2018) can be provided upon request. Please contact earlier for detail. Open to LE/military/security personnel and law abiding civilians, 21 yrs old and above who can submit the copy of passport/agrees screening in accordance with applicable Japanese law/U.S.C.. 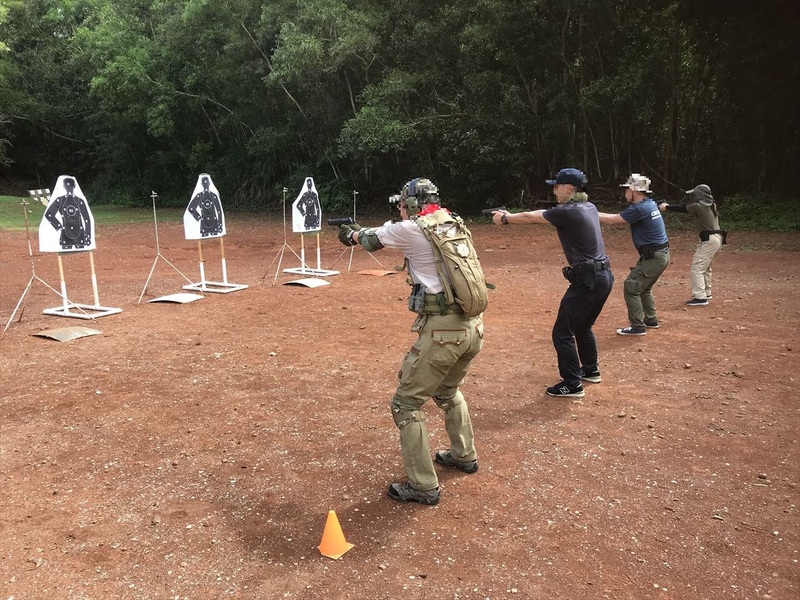 Candidate is subject to take domestic training module(one day classroom training/safe weapon handling using air soft guns held in Tokyo, Apr-May ) which may be exempted for those who have completed this training, and/or took equivalent training in the past. Please contact for further detail. Mission specific handgun/carbine training depending upon trainees duty/skill level(Basic to advanced level). 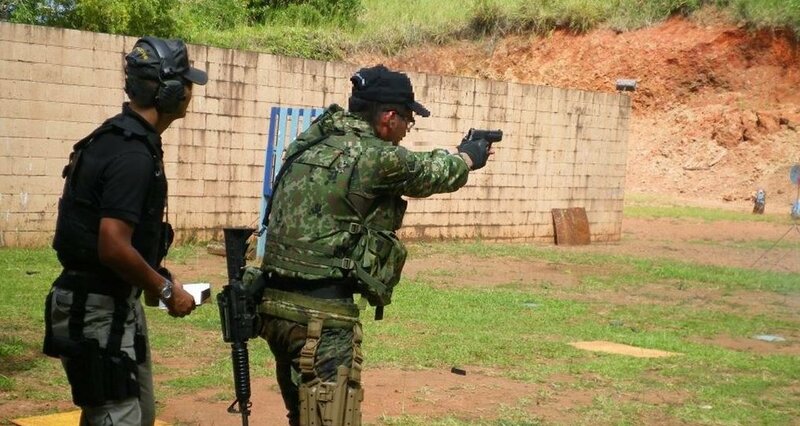 This training requires you to wear MIL/LE spec holster, duty gears on, assume various shooting platforms, moving, even under stress(all weather, temperature, time limit, overloading situations), however, flexible to reflect trainees needs for training. Training subjects will not be introduced here, please ask your GOSR for further detail. It is highly recommended for those government officials and other professionals to coordinate the details of training subjects, recording of training footage, wish list for drills, etc, in advance. Course enrollment is limited to 7(2 minimum) and closing date will be Saturday, 31 March 2018. Enrollment after closing date will be TBD upon course participants, availability of air ticket/hotel room, may subject to extra charge. Note: Local price may subject to minor change, depending upon foreign currency rate, etc. For further details, please contact GOSR with your phone number/e-mail address. 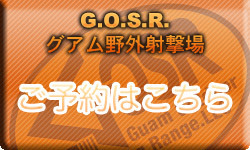 Copyright © 2012-2015 www.gosrjapan.com. All rights reserved.